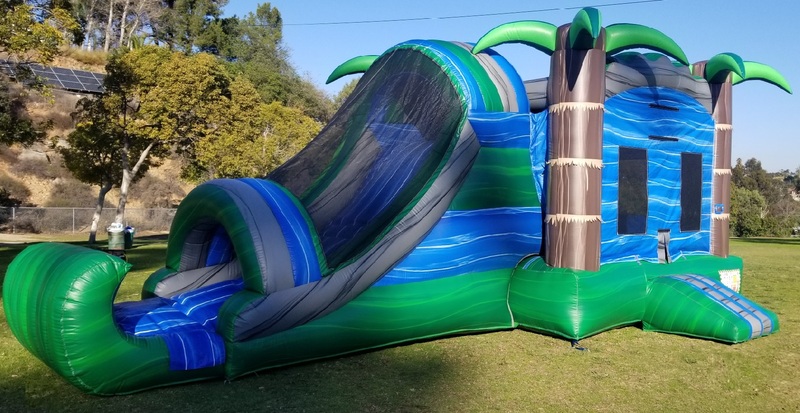 The perfect San Diego Slide Bouncer! 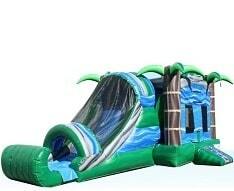 This slide jumper features an awesome 13x13 bounce area with 4 impressive palm tress at each corner. It includes a climbing wall, basketball hoop and slide! A perfect addition to any party. Minimum space: 30'L x 16'W x 16'H.